Gifted with a mysterious lamp and the missing pieces from her adoption story, Ginn tries to discover who…or what…she really is. That should be strange enough, but to top it off Ginn’s being hunted by the Order of the Grimoire, a secret society who’ll stop at nothing to harness the power of a real genie. 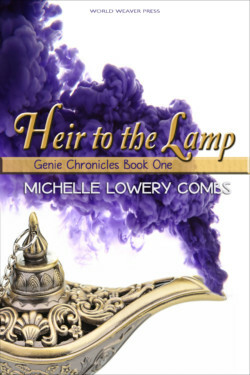 Ginn struggles to stay one step ahead of the Grimms with the help of Rashmere, Guardian of the lamp and the most loyal friend a girl never knew she had. The Grimms are being helped, too—but by whom? As much as she doesn’t want to, Ginn’s beginning to question the motives of her long-time crush Caleb Scott and his connection to her newest, most dangerous enemy.